Is Garlic Safe for Dogs? 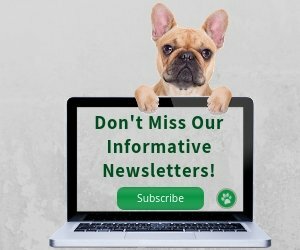 | How Much Garlic Can a Dog Safely Eat? You may have heard of the health benefits of garlic for pets, but are not exactly sure whether it is really safe to give garlic to your dog. I know - there is a lot of information and misinformation available on the internet about the use of garlic in food and supplements for dogs and cats. This article gives you well-researched information on garlic for dogs which I hope will help clear up some of the confusion you may have about garlic. What are the health benefits of garlic for dogs? Which form of garlic to use for dogs? The main controversy surrounding the safety of garlic on dogs (and cats) is a compound found in garlic (and, in greater amount, in onion) called n-propyldisulfide. This compoung can, in large doses, cause oxidative damage to red blood cells, creating Heinz bodies and triggering the body to reject these cells from the bloodstream. If large doses of this compound are ingested on a regular basis, the process can lead to Heinz-body anemia and even death. Does that mean garlic is harmful or toxic to dogs? Not quite! Actually, it is hard to find clinical evidence that garlic is bad for dogs. In 2000, a study at Hokkaido University was done in which four dogs were each given 1.25 ml of garlic extract per kg of body weight for seven straight days. Now, in that study, even with the ridiculously excessive amount of garlic given, none of the four dogs showed any signs of toxicity. And while the garlic did affect the dogs' red blood cells, none of the dogs developed anemia. In fact, in a 2004 study conducted by some of the same researchers in the 2000 study, it was showed that the compound allicin was good for health, and that despite the high concentrations of garlic used during the study, no development of hemolytic anemia was found in the dogs. This 2004 study has led the researchers to retract their earlier suggestion that garlic is bad for dogs. They even concluded that this herb has "the potential to promote immune functions and prevent cardiovascular diseases." The bottom line? Use common sense! The key to safe use of garlic on dogs is the dosage level and frequency of use. 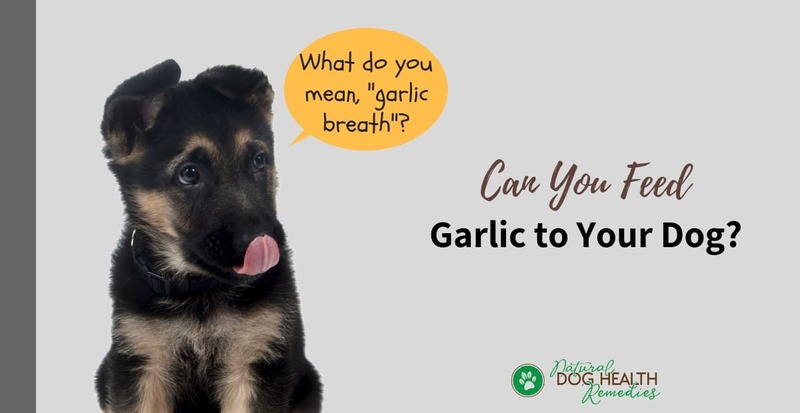 As shown in the 2000 study, for a dog to develop abnormality in his red blood cells, he would have to eat A LOT of garlic to even begin the oxidative process. A healthy 50-pound dog may have to eat a whole 5-oz onion, or over 20 cloves of garlic, to start the Heinz-body process. Since red blood cells are constantly regenerated from the bone marrow, a dog would likely need to ingest this much amount of onion or garlic on a repeated basis to cause permanent harm. Anemia: Garlic should NOT be fed to pets with a pre-existing anemic condition or to those scheduled for surgery. Lupus: Since garlic stimulates the immune system, people with lupus (which is an autoimmune disease) are advised not to eat garlic by The Johns Hopkins Lupus Center. Although I haven't found any reports or research on dogs with lupus and garlic consumption, I think it would NOT be a good idea to give garlic to dogs with lupus or other autoimmune diseases, since it would work in the same way in dogs as in humans (i.e. 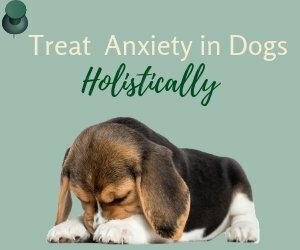 stimulate the dog's already over-active immune system). Puppies: Finally, young puppies before six to eight weeks of age should NOT be given garlic because they do not begin reproducing new blood cells until after 6-8 weeks. How Often and How Much Can A Dog Eat Garlic? Garlic has been used for thousands of years in Chinese and Ayurvedic medicine. It contains at least 30 compounds that have been found to be useful for a variety of conditions from skin disorders to cancer. Holistic veterinarians have been recommending garlic for many years for its multiple health benefits. Boosting the Immune System: Garlic stimulates immune functions in the bloodstream by increasing the activities of killer cells (cells that seek out and destroy invading microbes and cancer cells). 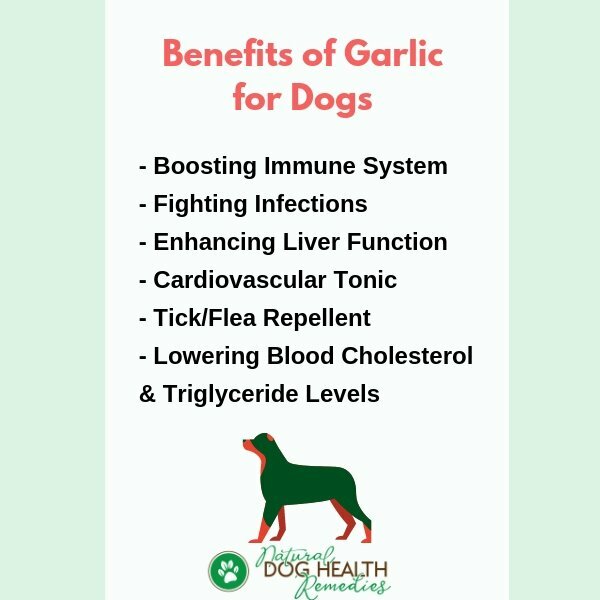 So I think it's safe to say that garlic is beneficial for dogs with suppressed immune systems and dogs fighting cancer. Moderate garlic supplementation in the diets of even healthy dogs can boost their immunity and prevent cancer. Fighting Bacterial/Viral/Fungal Infections: Garlic is a powerful antimicrobial and antibiotic and is effective in fighting various forms of internal or external bacterial, viral, or fungal infection, including parasites (e.g. tapeworms) and protozoan organisms (e.g. giardia). Enhancing Liver Function: Garlic has detoxifying effects. At least six compounds contained in garlic can enhance liver function by helping the liver to eliminate toxins from the body, thereby preventing toxic accumulation that may lead to cancerous growths. Cardiovascular Tonic: A compound in garlic is effective at preventing blood clot formation in the vascular system. It can also reduce cholesterol levels and fat buildup in the arteries (atheorsclerosis). 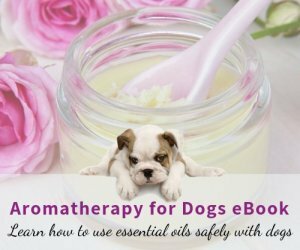 Therefore, it is an excellent cardiovascular tonic for older dogs. Tick/Flea Repellent: The exact reason and extent of garlic's effect on tick and flea prevention is not clear. It may be due to the odor released through the dog's skin as the compounds in garlic are metabolized. Whatever the reason, there are a lot of anecdotal reports on the effectiveness of garlic (especially in combination with brewer's yeast) as a tick/flea repellent. Fresh Raw Garlic or Garlic Powder? Not all herbs are safe for pets! 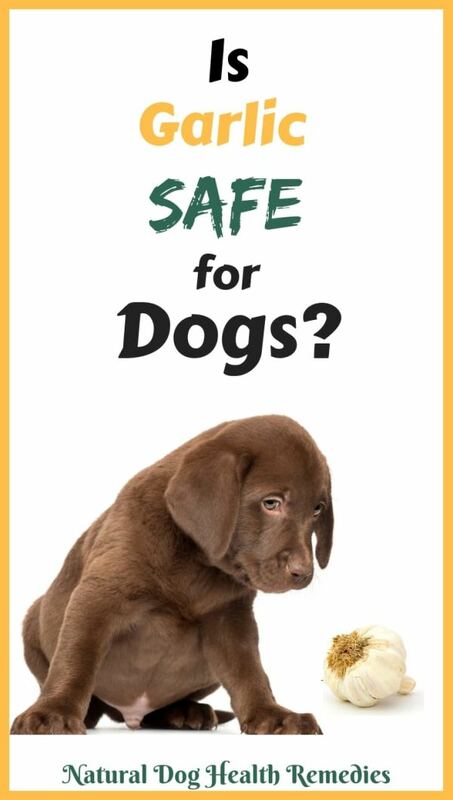 Visit Unsafe Herbs for Pets to see which ones are definite no-no's for dogs. Allicin, the compound in garlic that gives it the strong odor, is very unstable and dissipates quickly when exposed to air, moisture, or heat. But it is also allicin that gives garlic its powerful antibiotic properties. So if you want to use garlic as an antibiotic, the best form is raw garlic or raw garlic juice (to be used within 3 hours of chopping or pressing). If you want to use garlic as a cancer preventive agent, immune-system enhancer, cardiovascular tonic, or nutritional supplement, garlic powder or garlic pills should also give you the desired results.